1 Point Day (February. 11th) is coming again! Seize the chance to get the real offer with only 1 G Point! 1 Point Day refers to 11th of every month when some valuable items carrying a price tag of “1 Point” which are exclusive benefits for GTarcade desktop users. 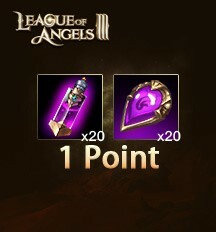 These two gift packs will cost you 600 Diamonds in game. But you can get them almost for free! Those worth 1300 diamonds in game. 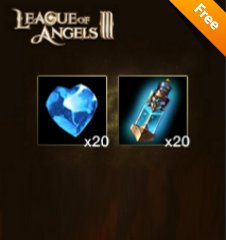 This month, you can get them for free once! We also prepared a discounted gift pack for you. Exchange for all the special offers, you can save up to 3000 diamonds! Download GTarcade Desktop right now to find more. G Point is an exclusive currency launched by the GTarcade Desktop. You can exchange for resources or gift packs of our games in the Points Store. 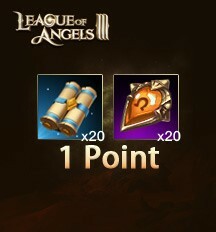 Playing games for an hour can claim 20 points. Daily max is 40 Points. Discover a whole range of exclusive benefits on GTarcade Desktop! 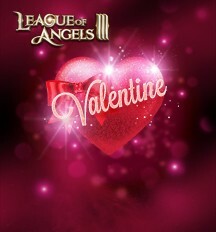 GTarcade Desktop is the official client of League of Angels series, enabling you to be on top of your games in the fastest and most convenient manner. Moreover, there are plentiful gifts, rewards and benefits waiting for you. It’s easy to install and totally free of charge! Download GTarcade Desktop to get rewarded for playing what you already love!